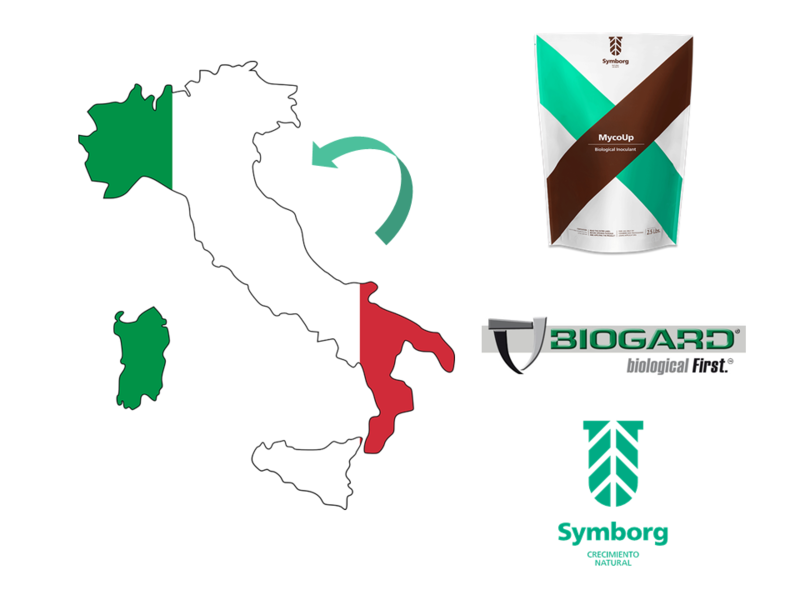 Symborg and Biogard, a division of CBC (Europe), announced today that the companies have signed an exclusive agreement to develop and market MycoUp in Italy. MycoUp is a product based on the mycorrhizal forming fungus Glomus iranicum var. tenuihypharum, a unique and patented species only produced by Symborg. Jesús Juárez, Founder and Chief Executive Officer of Symborg, comments: “The enormous potential of microbiology in improving agricultural production without damaging soil sustainability is a reality. Symborg’s products are a natural response to the demands of today’s agriculture. MycoUp avoids the depletion of agricultural soils and improves crop yields with zero impact on the environment. Symborg’s vision is to develop agricultural biotechnology together with the farmers and we wanted to find a national partner in Italy that spreads the same values as Symborg: that is what we found in CBC (Europe) that we are very happy to add to our growing network of strategic partners”. The agreement will cover the whole Italian territory and all the agricultural crops. BIOGARD® is a division of CBC Europe Srl, the Italian branch of Japanese worldwide multinational CBC Group. BIOGARDs fields of competence are: pheromones and mating disruption developed by SHIN-ETSU, a full range of microbiological pesticides of natural origin and a qualified range of special fertilizers and growth promoters. BIOGARD® strengths are R&D, regulatory, technical transfer and marketing of Biocontrol products, as well as the technical know-how for the development of application strategies of Biocontrol in biological and IPM programs.